Buried under billing pressures? Kareo can streamline the process and reduce the stress. Medical billing is complicated. Kareo gives you better options. Whether you want smarter software that makes it easier to manage billing in-house, or a fully outsourced option where our experts stay on top of things. We make your job easier whichever path you pick. Bring your office up to speed with Kareo Clinical, our cloud-based EHR. Let your doctors deliver better care, and speed up claims by connecting directly to your Kareo’s desktop billing application. It all works together and it all works better. Kareo Billing speeds up revenue cycles, reduce denials, and simplify paperwork. Let us do the heavy lifting, so you can focus on growing your practice. Your success makes us smile. Strong patient flow means more job security. With Kareo Engage, it’s easier for patients to find your office, and choose your doctor. It’s the smart way to grow your patient footprint and your practice. Medicine today is complex. Kareo helps you simplify with proven billing software that works with no hassles, which means you get paid faster, with less work. Outdated, ineffective EHRs make billing even harder. Kareo Clinical, our top-rated EHR is intuitive and easy for doctors to use. That means you get more accurate coding and a more complete picture of the care given. That adds up to faster claims and payments for you. When your doctors are more efficient, your whole practice feels it. Kareo Clinical, our full-featured EHR lets doctors practice the way they want to with maximum mobility, comprehensive and customizable coding libraries, and in-app e-prescribing for maximum convenience. Bring your business up to speed, starting with your doctors. Kareo Clinical is a mobile-first EHR. It’s designed to let doctors spend less time at their desk, and more time with patients. Plus, you can file claims the same day with connected coding. With Kareo, you have the power to grow. Maintaining good patient flow is the first step in maximizing your billing. 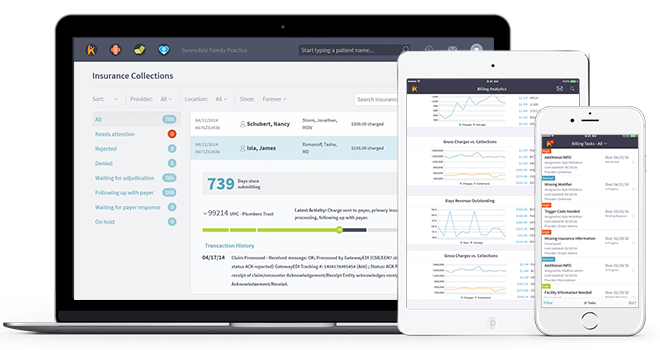 Kareo makes it easy for patients to find your practice - and choose you - with the fastest growing network of independent providers and patients on a single, cloud-based platform. It’s another added bonus from Kareo. Your practice needs patients. 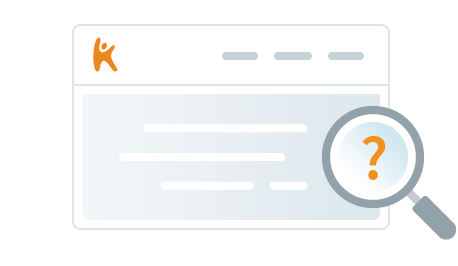 Kareo makes it easy for new patients to find you, and for existing patients to refer you. With our simple, cloud-based platform marketing your practice is easier, and growth happens with minimal effort on your end (outside of the great care and service you deliver). Kareo understands the importance of online reviews for small medical practices. Our cloud-based platform helps you engage with patients to keep them happy, so they keep coming back. And you keep growing! Not sure which services and solutions are right for your independent medical practice? We’re here to help. Review these resources for more information, or call, email, or chat with a solution consultant today to learn more.